See more objects with the color grey aquamarine dimgrey gainsboro darkseagreen or see all the colors for this object. This is a Flashlight. It was manufactured by Sony Corporation. It is dated 1995 and we acquired it in 2008. Its medium is plastic. It is a part of the Product Design and Decorative Arts department. This flashlight demonstrates an attentiveness to ergonomic handle design. The museum actively collects in the area of personal electronic devices. The collection includes an impressive group of flashlights, many of which were on display in the museum’s exhibition, IDEO Selects: Works from the Permanent Collection. 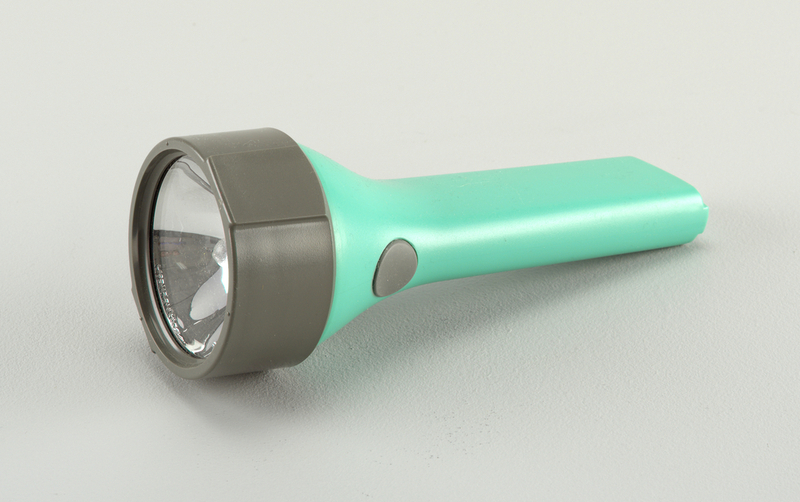 This flashlight is part of a group of electronics from the 1980s and 1990s proposed for acquisition that would augment the collection’s consumer product design category from this era.